Planet Action Adventure Tour Services specializes in organizing high-quality adventure tours in Cebu and Negros Island. 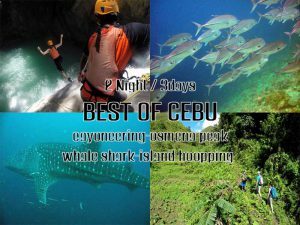 Based in Moalboal on Cebu Island we offer outdoor tours for everyone who like to experience challenging, fun and safe adventure. 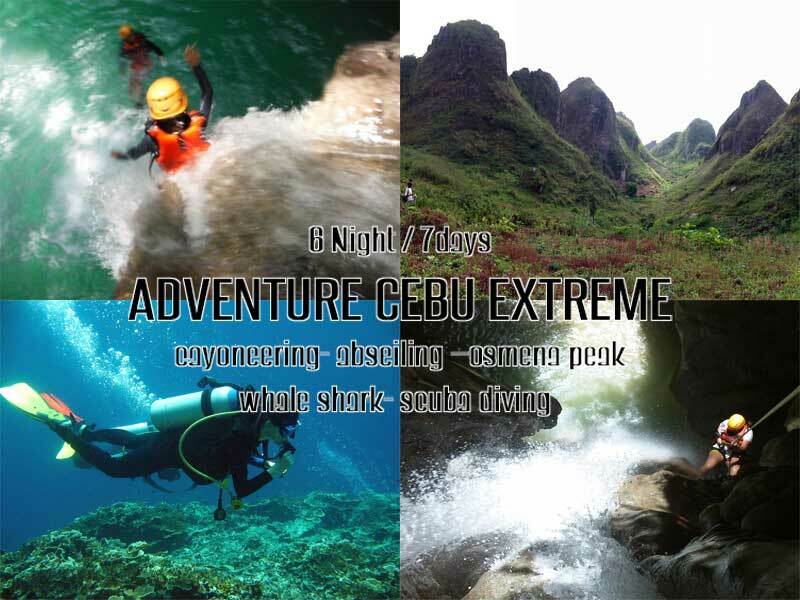 We organize three different Canyoning or Canyoneering Adventure in South Cebu, All accessible from Moalboal and most parts of Cebu and Mactan within the same day. 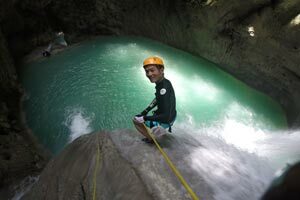 Canyoning Kawasan Falls in Badian and Algeria is the most popular tour followed by the Canyoning at Montaneza in Malabuyoc, which is a complete canyoning experience and includes rappelling (abseiling), zip-lines, cliff jumps activities, swimming and climbing along the way. 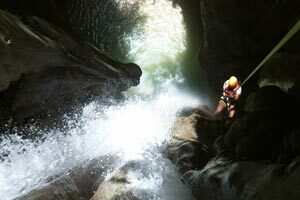 The Canyoning Adventure at Tison falls is our most challenging, greatest and adventurous tour option as of now. Our Trekking Tour to Osmena is a challenging six hours hike from Badian Town but can be shortened by a motorized ride by car or motorbike to only a one hour walk. 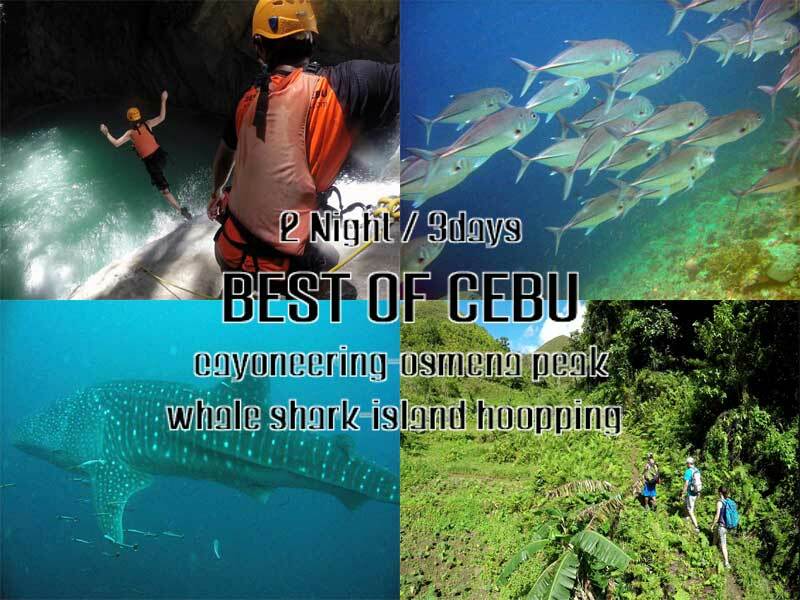 The Whale shark snorkeling tour in Oslob became the most visited in Cebu and can be done as a single trip to together with a visit to Sumilon Island and Tumalog falls or other day adventure in South Cebu. 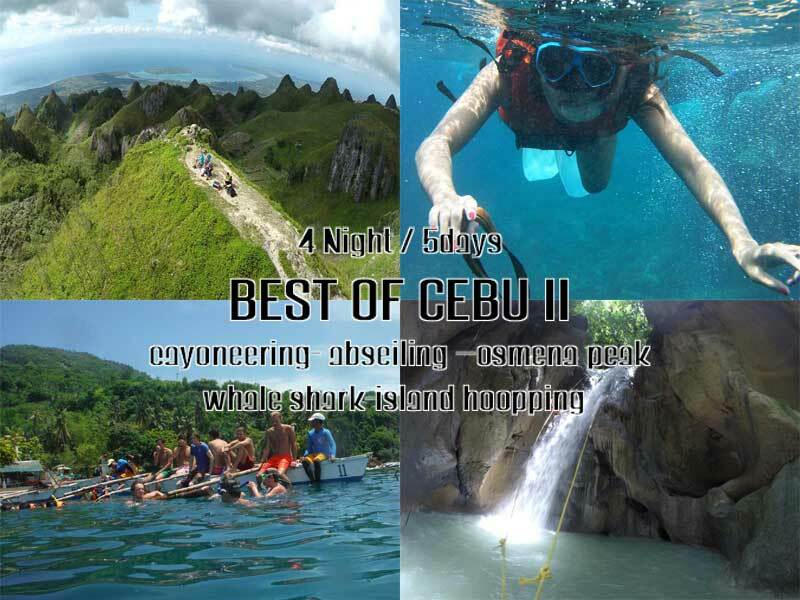 Based in Moalboal, on Cebu Island, we propose adventure holiday packages. These packages include comfortable accommodation at our own Tipolo Beach Resort or our new budget accommodation at Solar Lodge and a selection of our most popular day adventure tours. Besides our regular packages, you can easily create your own. All our adventure tours can be included, as well as diving and snorkeling, or just some relaxing days. Contact us for your custom made adventure vacation. Don’t forget to take a look at our special offer the whole year around. Planet Action Adventures was founded back in 1995 by German national Jochen Hanika and his Filipina wife Jinky. Being the real deal, they have both been competing in, and winning, mountain bike events in the early 90s. Jochen and Jinky didn’t just start another adventure tours company, they provided the blueprints for an exciting new industry in the Philippines. Jochen and his counterpart Mario, nicknamed “Super Mario”, explored Cebu’s hinterland, trekking, wading, abseiling, canyoneering, leaping off waterfalls and mapping out jungle treks, all of the stuff your mother told you not to do. With his mountaineering background and experience, Jochen explored and developed canyoning routes and made them safe. He found alternate escape and evacuation routes and erected emergency evacuation devices like rigging canyons for the use of Flying Foxes (a device which where you can overcome a waterfall in case you are injured) and other resources to improve the overall safety of the area. Planet Action is where adventure tours in Moalboal, and actually in the Philippines, all started. Jochens activities were featured on TV shows like Sport Unlimited and GMA Travel shows. International schools from Cebu, Manila, Singapore and Hong Kong sent their students on field trips with Planet Action. Following Planet Actions success there is huge supply of independent guides and companies offering similar tours, but without the professional background and experience, neglecting training and even the simplest safety measures. Often imitated but never duplicated, Planet Action has always managed to go that extra mile and conduct tours with an unmatched safety and customer satisfaction record. Check out some of the reviews from our customers on social media, we promise you more fun and professional service from well trained and experienced staff.